To add text shape in an existing slide, select a shape from top right corner of the main menu. With the help of the �drag� option of your mouse, place it wherever you want on the slide. 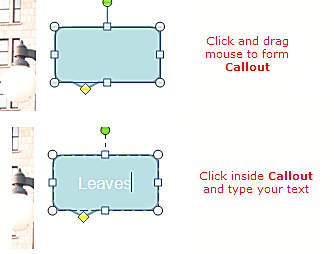 With the help of the �drag� option of your mouse, place it wherever you want on the slide.